providing you with ample space for ultimate relaxation within your garden. 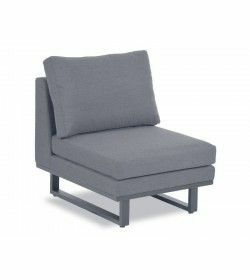 Its long sofa piece has a length of 250cm making it perfect for multiple people or lying across in the sun. 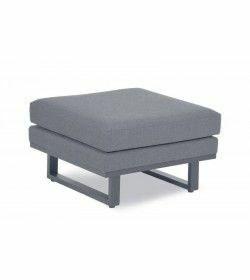 Both pieces can be separated to create a sofa and an outdoor chaise for more flexible use on the patio. 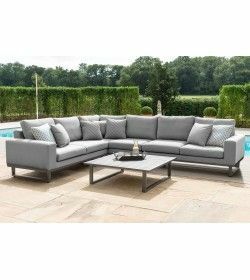 Its all-weather fabric is designed with robust parallel stitching and is padded on the base and back for ample support. The 90cm square coffee table with a spray stone effect glass top completes this garden furniture set with a modern touch.